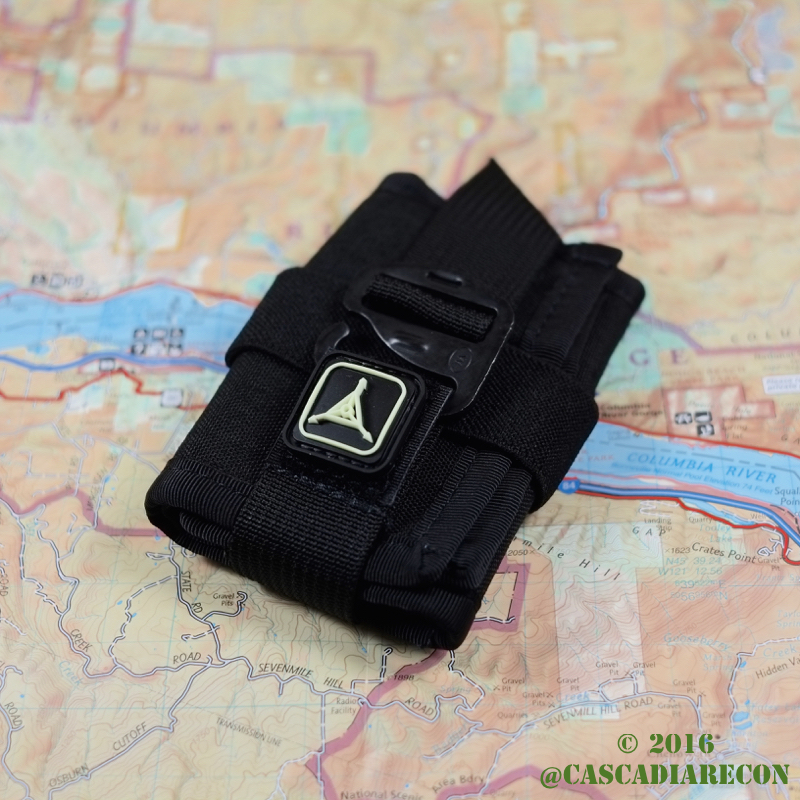 Today’s first impressions brings us the “SERE Pouch 1” from Triple Aught Design. Designed like a small tool roll, it can be thrown in your pockets, attached to a pack’s straps, or just carried loose. While this pouch appears to have been produced in limited quantities for specialized classes a few years back, it is now available for anyone to order via the TAD website. To unroll the SERE pouch, you unclasp the G-Hook, pull down on the elastic strap, and open the pouch up. There are five internal dividers for organization, with each compartment secured by additional elastic webbing (similar to their OP1 pouch). There is also a tiny removable sheath with a loop of shock cord — meant to contain small sharp objects. Though intended as an aid for SERE (Survival, Evasion, Resistance, Escape), the possibilities with this pouch are pretty much endless. This could be handy anywhere you need to organize small pieces of gear or kit. And speaking of kits, the SERE Pouch 1 is also sold in a complete ready-to-go kit form, loaded with escape equipment, though at an obviously higher price. It is nice that Triple Aught Design is offering both the empty pouch and the full kit version. As far as what’s going in the pouch that I received, I’m anticipating a good mix of small survival gear, sprinkled with other goodies. A ferro rod, tinder tabs, Kevlar cordage, button compass, spare cash, Photon keychain light, etc. While it’s far too early to do a detailed review, this pouch definitely looks like a winner, and is probably one of my favorite items from TAD. Note: All images and content © 2016 by the author, unless otherwise specified.